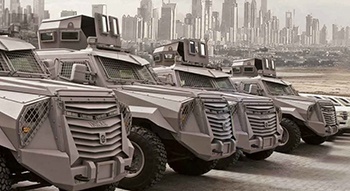 In what can sometimes feel like an increasingly volatile world, when military, police, VIPs and leaders from across the globe are looking to ensure their safety, they come to Dubai-based company Inkas Vehicles. Led by Uzbek chief executive Ulugbekhon ­Maksumov, Inkas has provided armoured vehicles for clients from the United Nations to the president of Ghana, Nana Akufo-Addo, who took office earlier this year. 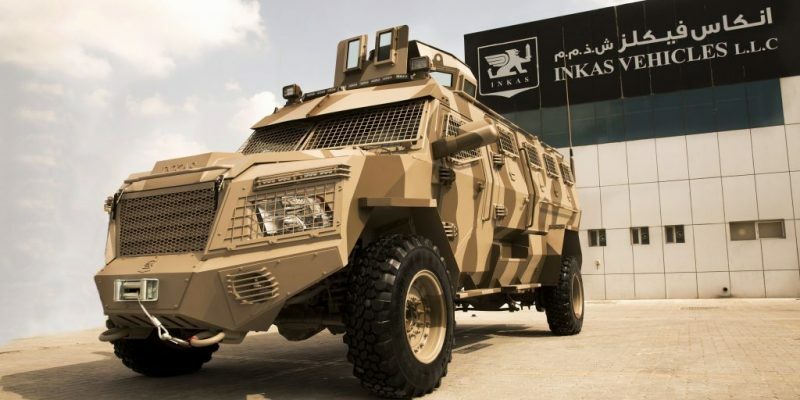 Inkas Vehicles, owned by Maksumov, was set up in the UAE in 2010 as a collaboration with Canadian company Inkas Armored Vehicle Manufacturing, following the success of its first venture in the region, Gulf Auto Trading. The two parted ways in 2012, and Inkas Vehicles is now a separate entity. 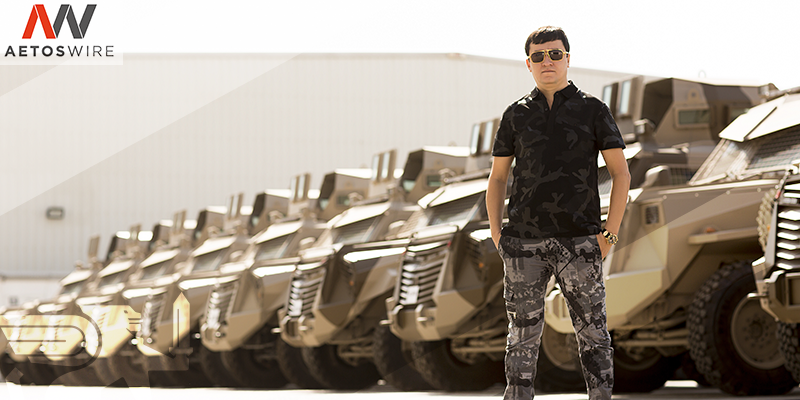 Its Dubai facility is a 110,000-square-foot assembly plant where the company puts together its military-grade armoured personnel carriers (APCs) and armoured versions of more-recognisable cars, such as hardened Toyota Land Cruiser SUVs and Mercedes-Maybachs, plus special commissions including police riot vans and cash-transporting security vehicles. In a nearby factory, they have laser-cutting equipment that can slice through ballistic steel and another that takes care of glass. These machines were used to create a dual display in the headquarters building, an industrial-style cut-out of the company’s logo alongside a pane of its bulletproof glass that withstood six shots from an M84 rifle at a range of 15 metres. “We can divide by civilian and military,” Maksumov says of Inkas’s customer base. “Before it was 70 per cent for civilian, 30 per cent for military. Now it’s changed, it’s 70 per cent the military stuff and 30 per cent for civilian, like VIPs, embassies, presidents. Just recently, we delivered 52 vehicles to the new president of Ghana. “For him [the president of Ghana], we did a Maybach S600, with B7 level [the highest level] of protection, which can halt armour-piercing bullets.” His guards, meanwhile, were supplied with Toyota Land Cruiser 200 Series, Lexus [LX] 570s and a couple of Toyota Tundras with special bumpers that can remove anything on the road. The Inkas service for such vehicles is a customisable process. “We do everything from scratch,” Maksumov says. Inkas’s most visually impressive models, however, are its APCs, led by the Titan range – hulking great military-focused beasts based on chassis of such rugged vehicles as the Ford F-550 Super Duty, Dodge Ram and Toyota Land Cruiser 70 Series, and built to withstand the rigours of war. One of the vehicles was used in a UN peace mission in Egypt last year. A short test drive within the Inkas assembly-plant walls is a potent demonstration of their potential, with the top three Titan’s 6.7L engines pushing out 330hp and propelling them with unexpectedly rapid acceleration. For such massive, weighty units, the handling is surprisingly nimble. As you might expect, such sturdy buys aren’t at the budget end of the market – the bill can easily stretch to seven-figure sums per vehicle. Prices start from US$100,000 [Dh367,300] up to $1 million, all included, Maksumov says. “APCs, of course, you cannot get for $100,000. And it depends on the specs – many optional [pieces of] equipment you can add. If you ask me to add a bomb detector, for example, to your vehicle it will cost you $250,000. If you ask me to provide a special camera, which can see in the rain, in the snow, for five or six miles, it’s an additional $200,000 – so it’s already [almost] $500,000 just for two things. Inkas can produce up to 120 vehicles per month. “But again it’s variable, because we need to see when the client comes and says: ‘I need 100 APCs.’ Yes, we can build them 100, but for the different vehicles, different specs, and for the individual vehicle, you must choose the right suspension and right tyres. And each country has different requirements. Maksumov’s personal driving pleasures largely revolve around cars of various vintage made by defunct Soviet-conceived car company Volga. “I have 19 cars – all of them are my favourite. 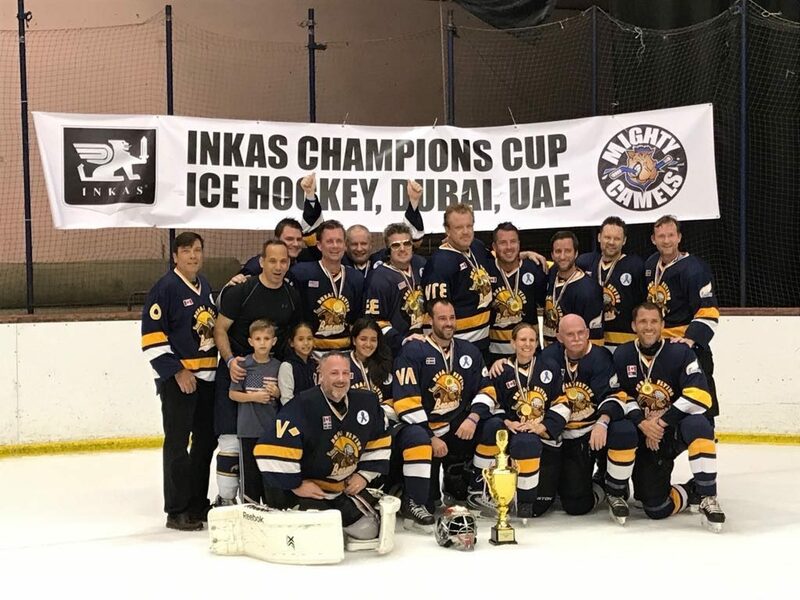 Yesterday was the final of the Inkas Champions Cup Dubai – UAE at Al Nasr Leisureland. Congratulations to the winning team! 26 teams, 4 full days of Hockey, 1 Cup! 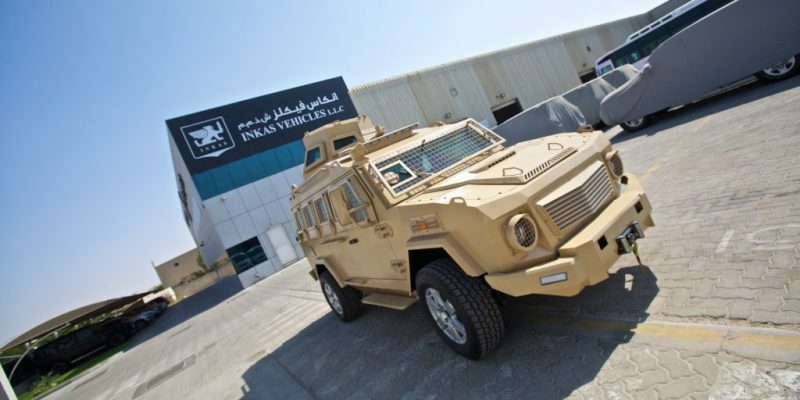 The INKAS 200 is a light protected 4×4 APC (Armoured Personnel Carrier) designed an manufactured by the Company INKAS Vehicles based in United Arab Emirates. 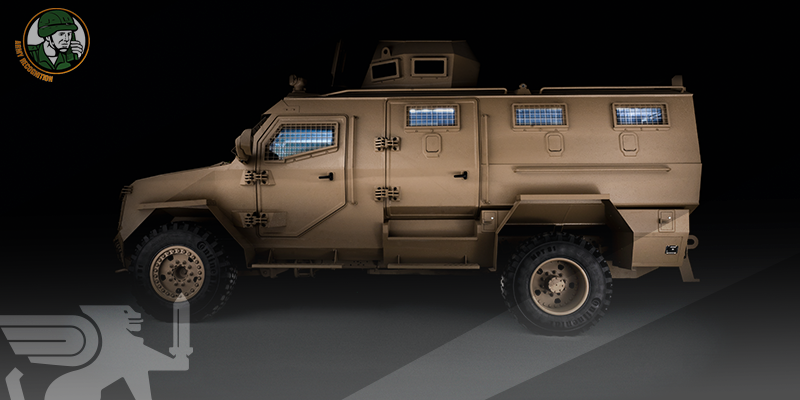 INKAS Vehicles is a private company that manufactures armored vehicles for military and security use. 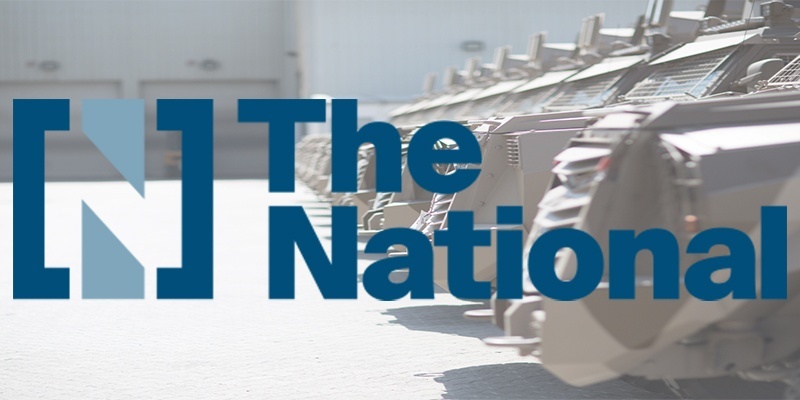 Its R&D (Research & Development) department works to build military vehicles which includes Armored Personal Carriers and Mine Resistant Ambush Protection vehicles. The INKAS 200 APC is build on on the Toyota Land Cruiser 200 series 4×4 OEM chassis. The vehicle is designed to be used by military or polices forces for border patrol, combat or law enforcement missions in urban and all-terrain conditions. With the use of Toyota commercial chassis, the INKAS 200APC offers worldwide spare parts availability with cost-effective maintenance and operating costs for military or security vehicle fleets. The INKAS 200 4×4 APC can be fitted with a single-man open-top turret mounted on the roof of the vehicle which can be armed with a 7.62mm or 12.7mm machine gun. To increase the protection of the gunner, the turret can be fitted with armour plates on 360° and bulletproof windows providing situational awareness all-around the vehicle. Depending on the customer requirements, the INKAS 200 APC can be equipped with a remotely-operated weapon station offering a protection under armour for the gunner against threats of snipers, explosions and debris. 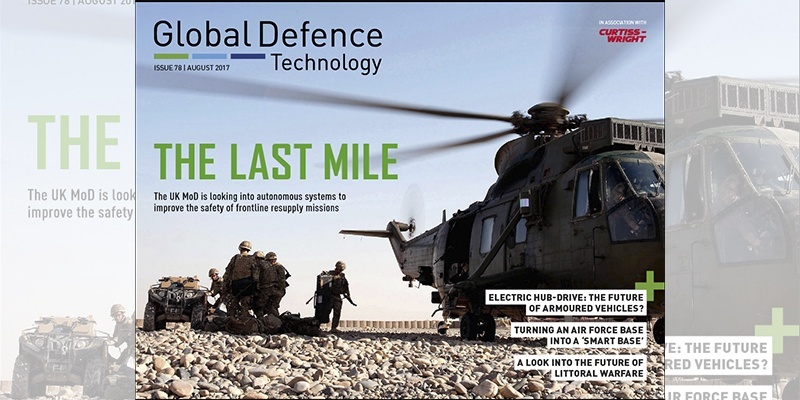 This type of weapon system is also equipped with sensors such as night vision, thermal sensors, daylight cameras and control systems offering more accuracy and capabilities as firing on the move against static and moving targets. The layout of the INKAS 200 4×4 APC is conventional, with the engine compartment at the front, driver and commander in the centre and the troop compartment at the rear. The vehicles is designed to carried a total of 8 people including driver and commander at the front on individual seats and six people at the rear, with three individual seats that run along either side of the hull. There is a large windscreen at the front of the vehicle with a firing port at the right side. The commander and driver both have a forward-opening side door with bulletproof window in the upper part. Each side of the hull are fitted with three small bulletproof windows with firing port in the lower part. There is a large door in the rear of the hull that opens to the right that has a bulletproof window and two firing ports. All the windows are protected by metal mesh guards to provide additional protection to ballistic glass surfaces. The INKAS 200 4×4 APC armour provides ballistic protection up to CEN Level B7 against firing of small arms 7.62×51 SC ammunition, 7.62×51 M80 NATO ammunition. The INKAS 200 4×4 APC is motorized with a 4.5L V8 diesel or Petrol engine developing 304 hp. at 5,500 rpm coupled to a 6 speed automatic transmission. The INKAS 200 APC can run at a maximum road speed of 110 km/h and 60 km/h in off-road conditions with a maximum cruising range of 750 km. The INKAS 200 4×4 APC keeps the standard dashboard of the Toyota Land Cruiser including the onboard equipment as heating and air conditioning. The vehicle can be equipped with a wide range of optional equipment according to customers requirements as strobe light systems, roof mounted lighting system, Fire suppression system, emergency roof escape hatch and more.